At the stroke of 9, Founder’s Day was celebrated in the portals of NAFL-NPS North on Thursday, 21st June, 2018. 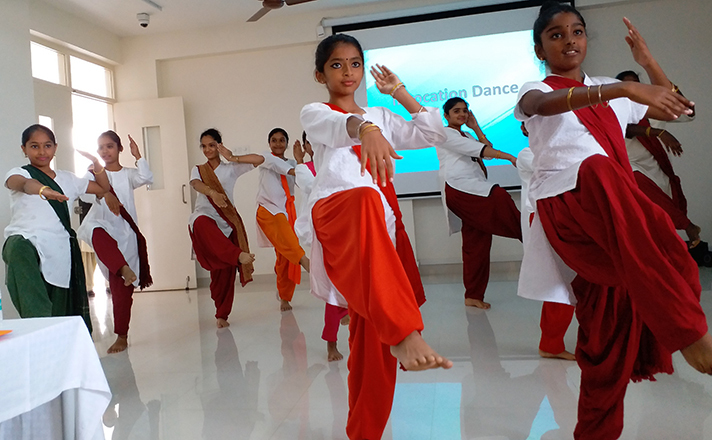 The morning began with a graceful dance by the students of Grade 4 to 9, invoking Lord Ganesha – the first deity that is venerated in our culture as the remover of all obstacles. 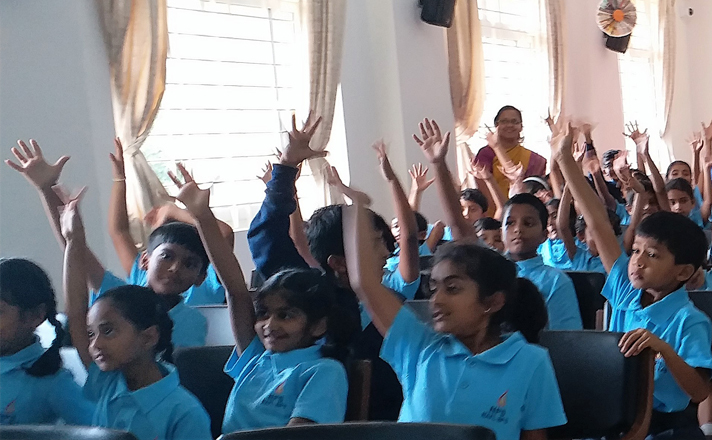 It was a divine and soulful beginning to the day which was followed by a message from the Vice-Principal, Ms. Hemalata Pillai. 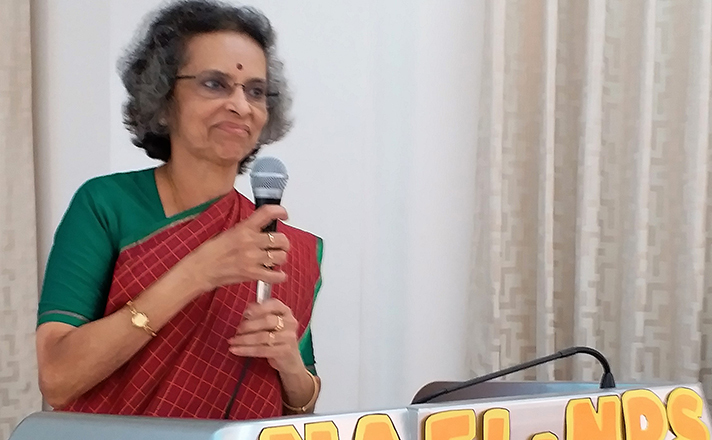 The students were truly motivated by the speech delivered by the Dean, Dr. Mrs. Shantamma Gopalakrishna. She brought out the importance of hard work and discipline among children by just merely observing the ants around us and getting inspired by them. The congregation was privy to the treasured moments of the first year as everyone was taken down the memory lane with many nostalgic moments and musings by the students. 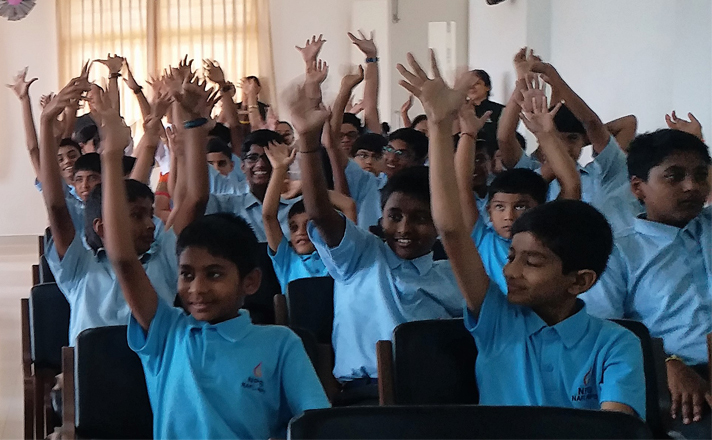 The quiz on Know-Your-School was apt for the occasion as the students and the audience got the opportunity to learn many fun-facts about the school. 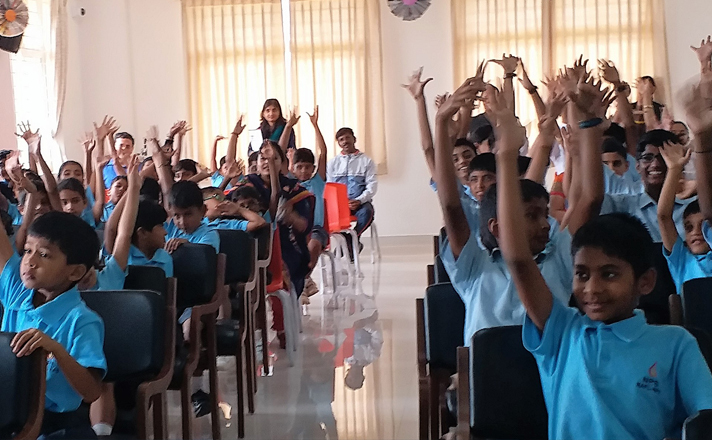 Keeping up with the vision of the school, the Vice-Principal launched the Founder’s Day Community Service Programme which would help the students to understand the importance of reaching out to the underprivileged segment of the society.